This obviously depends on exhibitors requirements. 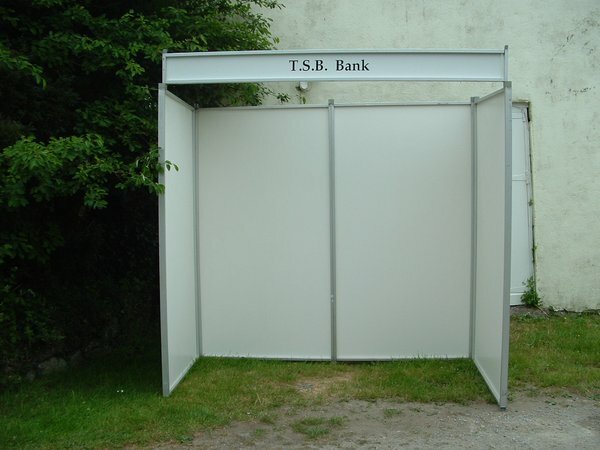 These could be used for Craft fairs, wedding fair, trade shows etc. Each both is free standing and is made from Velcro friendly material and can be branded with the Fascia / Name Boards. So for the lot I am asking £3000 (average price of £115 approx per stand) I'm hoping to sell it in one or two sets rather than individually. 30 — Price is for all units.